We decided to leave this place after we got our money and documents returned to us. Alfonso stopped by our home, room 107, to let us know that there shouldn’t be any problem passing Kilometro 21, as long as we had the pink slip and registration. Samuel tried to pry $300 from us, to have his cousin allow us to pass K21. But fortified with Alfonso’s information, we decided to – just cross. So on the morning of the ninth, we got up and prepared to leave. Foxy started right up, and I let her warm up a bit before we left. This is how far we got. There, right there in front of the hotel,Foxy died. We had some brief, intense conversations, switched gas tanks, tried and tried, and finally, about half an hour later, we got the truck started again. We have puzzled quite a bit over what happened, but we probably will never know. There are two gas tanks, and we have noticed that the truck doesn’t start as well when we use the back tank. 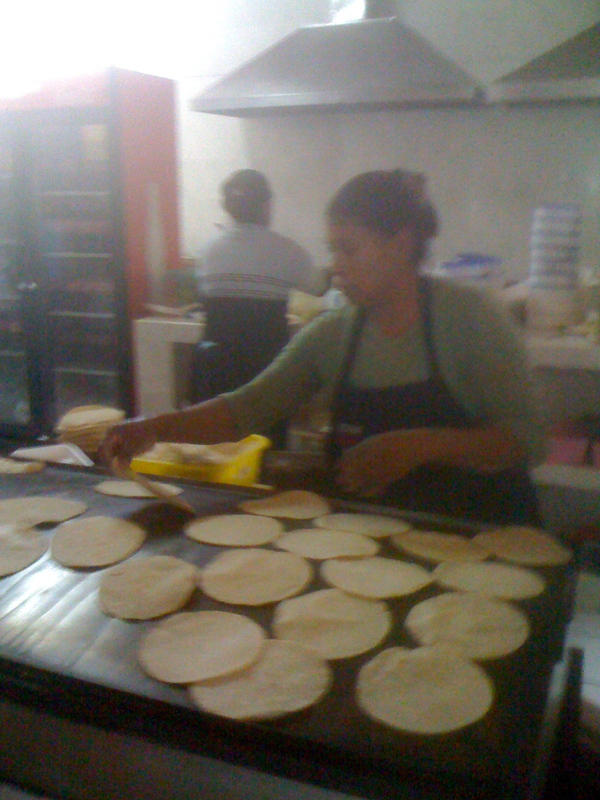 Anyway, we drove to the town of Santa Ana, stopping only once , to sample the pulque at a local restaurant on the way. We arrived in Santa Ana, but had a difficult time decyphering the map Alfonso gave us. We gave up and called him, and he came to find us. He bought us breakfast in Coyota Maya (?) (Coyota Something). We found out later what coyotas are. We got on the bus at Santa Ana at about 12:30. The tickets cost about $230 for the two of us, from Santa Ana to Leon (maybe around 1,800 miles. It seemed like an awful lot until we compared the price to the price of two tickets from Los Angeles to Chicago, for example. Still, we think a flight might have been more economical. 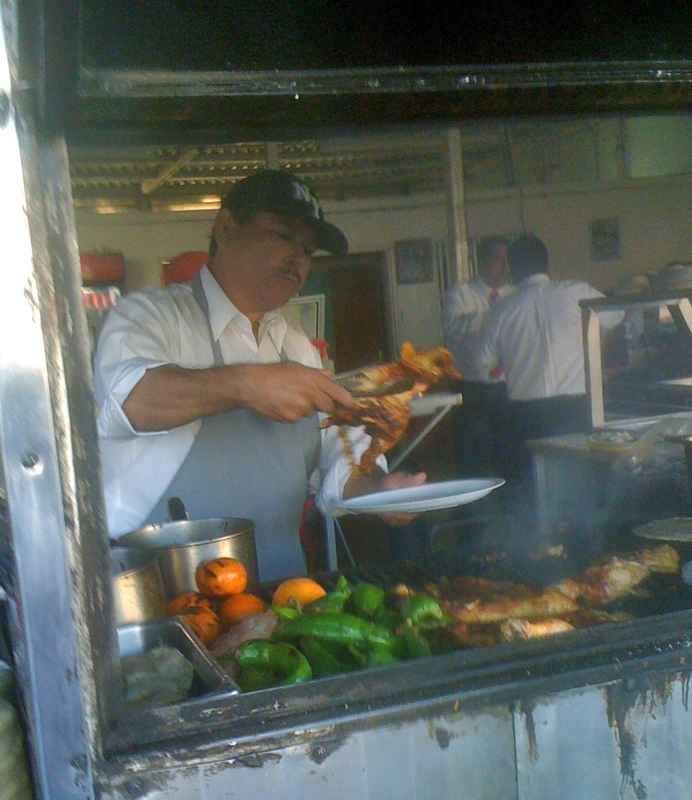 At Hermosillo for about $2 Chon bought us four coyotas (a Sonoran tradition). They look like flour tortillas, and they have a filling. Chon bought the ones with piloncillo that tasted quite a bit like molasses. And they had an ever-so-slight flavor of wood smoke. We left there, and in about ten minutes the bus driver stopped again. The bus driver announced a stop of 20 minutes to eat. It was a road-side place that served toasted buns with chopped-up meat on one half, and onions, tomatoes, and other goodies on the other half. We took them on to the bus to eat, and they were wonderful! We tried to sleep on the bus with some success, and arrived at Mazatlan at 5 a.m. We grabbed some pre-made sandwiches from the bus stop and hit the road again for Nayarit. Somewhere in Nayarit the bus stopped to let a passenger off, at a junction of another road. It was still pretty early, and most of the passengers were sleeping. The young man stood by near the road, after jumping across a little ditch, pulling out his cellphone. It made me think, as I had before, about the secret destinations of the passengers. Mexican roads in general are quite good, in spite of what you might read in travel books, especially the roads the buses take, the cuotas (toll roads). You pay, though, for the excellent quality. These cuotas run nearly parallel to the libres (free). The libres pass through all the towns, and the cuotas avoid them. The bus companies have nices buses with bathrooms. The buses are fairly new, with comfortable seats, but sometimes the windows are pretty rattly. We made a stop in Nayarit, at a town called Jala, around breakfast time. Chon got us quesadillas with meat, made with hand-made tortillas. I added salsa from the molcajetes. I thought I should have added more salsa, but I put plenty – it was picosa! and the quesadillas were quite wonderful. There were many indiginous people there, and you could hear their language, which impressed me as sounding similar to Asian languages. One young woman with a baby slung on her back in a rebozo went to the sinks for washing hands, and washed her head, and not the long dark hair that hung down her back. The rest of the trip was fairly uneventful, except for the remarkable fact that we didn’t enter the bus depot in Guadalajara, but just dropped off the riders stopping there right on the street outside the station. 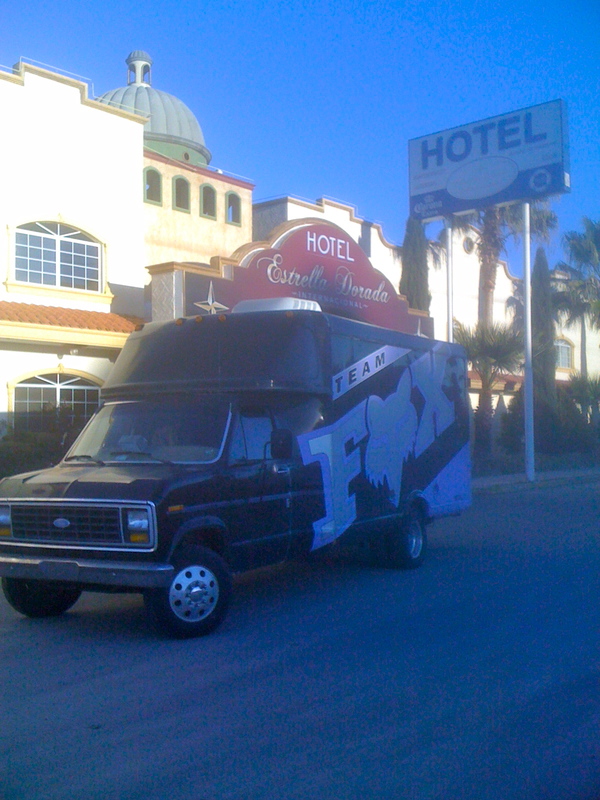 We arrived in Leon at 4, and right away got headed towards home, and got inexpensive tickets right to El Pedernal. When we grabbed our things and got off the bus at the top of the main street, some kids we know were there, and they helped us carry our things to the house – Chon had brought three guitars, and we had various other bags to carry. 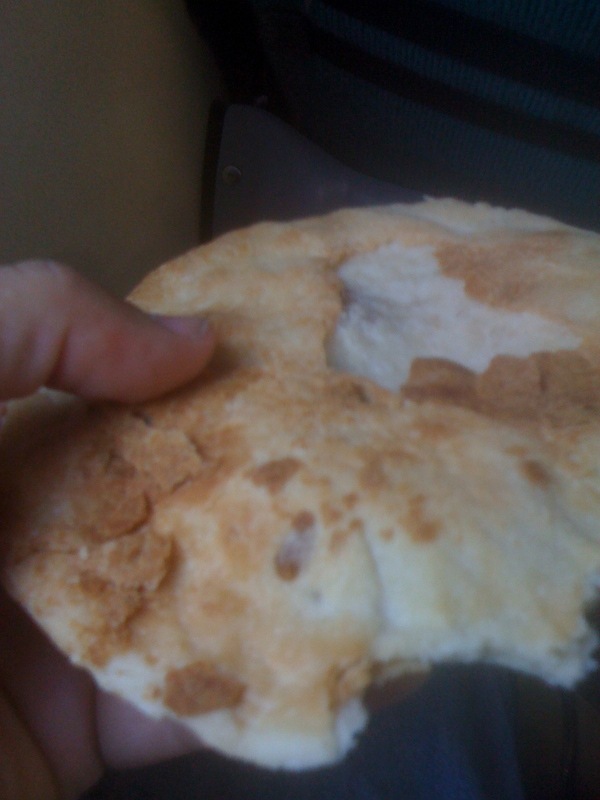 This entry was posted in bus travel in Mexico, coyotas on January 20, 2011 by gubabbaboy.